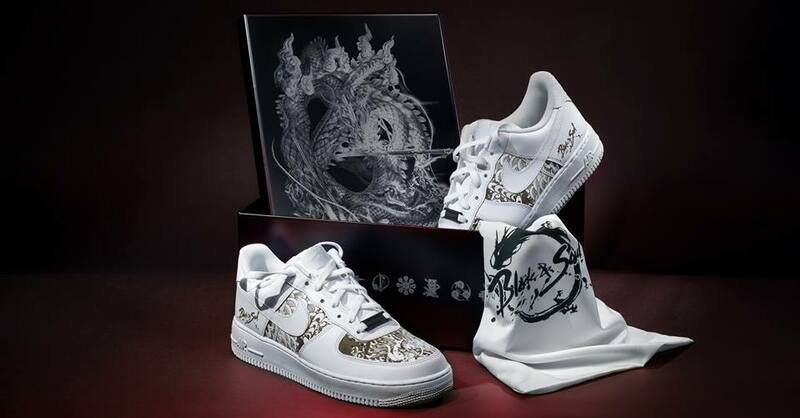 Blade & Soul’s 3rd Anniversary Festival is now in full swing and brings quite a few festivities, as well as an awesome giveaway: 10 pairs of custom Nikes for the lucky winners to grab! You can read about the festivities here, which include the the NCSOFT West-designed Anniversary Costume Set, Cutting Edge, if you are able to collect enough 3rd Anniversary Coins. Or you can try to get other rewards from the Midnight Skypetal Plains Event. But you really want those cool looking custom sneakers, right? Well, head over here to read about the different ways to enter and have a shot at one of the 10 pairs of these limited-edition sneakers. One of the ways to enter is to watch the Livestream on January 17, starting at 11:00 a.m. PST / 20:00 CET. Good luck!